Alienware which is famous for its unusual looks and unique features and every model of this company is one of a kind. If you have come across other laptops or manufacturing companies that build laptops, they like to play safe rather than experimenting. For instance DELL, Hewlett Packard and other famous laptops will be found in the same old color combinations with features that are more or less the same with few details changed. 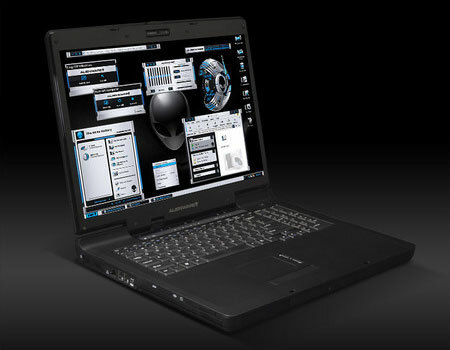 Alienware has done it again when they launched Alienware Area-51 M9750 which is one the Area-51 series. It is pretty different from the other Area-51 series but the features and functions are still not compromised. 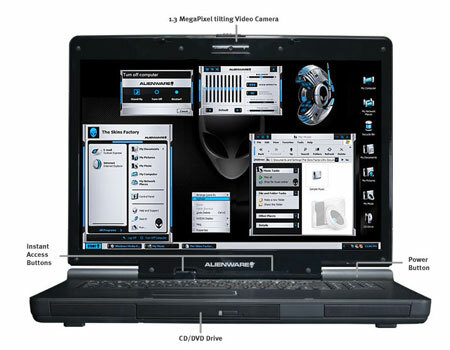 Alienware being one of the famous laptop manufacturing companies has always brought something new to the table. It has been their motive to do something different and surprising to take the spotlight and they always win. When laptops were first brought to the market they were considered to be best for simple tasks like using MS office or basic documents but Alienware changed this concept and brought us the laptops that are not only for gaming purposes but are the best ones in the whole market. Alienware who is popular for unique exterior and powerful exterior launched their new laptop the Alienware Area-51 M9750 which is another fine machine from them. 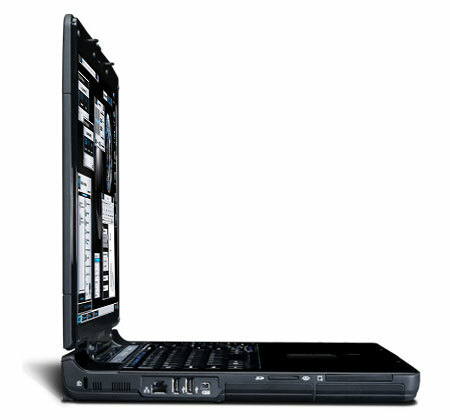 This machine consists of an Intel Core 2 Duo T5500 / 1.66 GHz processor with an Intel Centrino Duo platform technology. It has a minimum of 1 GB to a maximum of 4 GB DDR2 SDRAM and a minimum of 80 GB Hard Drive that can be upgraded till 300 GB. It consists of a graphic card NVIDIA GeForce Go 7950 GTX and the entire machine is worth £2,095.32. Alienware Area-51 M9750 can be considered as a gaming machine which has twin video cards for 3D performance, a surround system sound output, DVI, excellent screen resolution and quality with a matte finish on the entire laptop to avoid fingerprints and fading of color. But on the other hand Alienware Area-51 M9750 works best with Windows XP instead of Windows Vista although it a Core 2 Duo machine which is disappointing. The machine with built in configuration is cheaper but shoots up if upgraded and it also has poor battery life which is one of the drawbacks of owning this laptop. Apart from all these flaws Area-51 M9750 machine is ideal for games, 3D animations and graphics. Other than this the machine has all the other regular features and functions including a Bluetooth, wireless LAN, stereo speakers with built in subwoofers and so on. The keyboard and overall layout of the notebook is elegant, classy and cool without being too much. At the top of the keyboard are the shortcuts for web browser, email etc with a proportionate touchpad. Alienware laptops may cost you a lot but they are definitely worth it. Being one of the laptop manufacturing companies who target on launching and building gaming machines have now found out their strengths and weaknesses. Overcoming their weaknesses in each addition to their product Alienware is now globally famous for speedy and pimped laptops ever built and Alienware Area-51 M9750 is one of them. It is available in the color black which makes it look slimmer even having a 17 inch screen display. The entire machine in general is ok but the small details in this notebook makes you impressed and eager to get your hands on them.